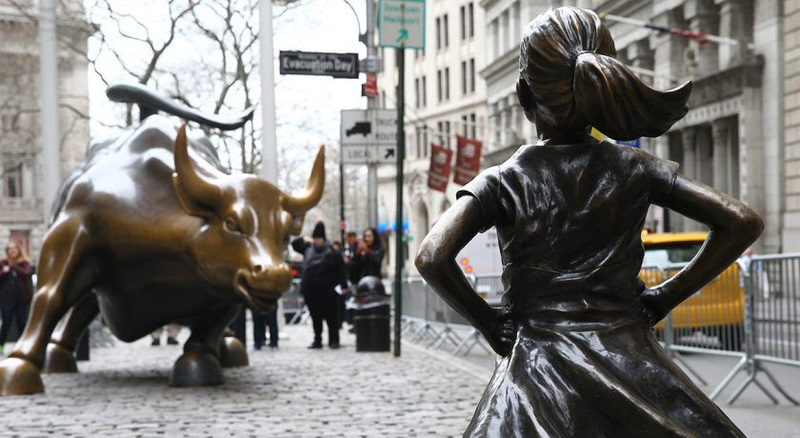 The Fearless Girl statue was commissioned by State Street Corporation to raise awareness about “gender diversity” in corporate leadership. The company is now paying $5 million after investigators concluded it underpaid female and black employees. State Street is denying any wrongdoing but has agreed to pay as part of a settlement agreement with The Department of Labor. The Department of Labor investigation found “statistically significant” differences in the pay given women and men in leadership roles at the firm, as well as between the compensation of black and white employees. The differences persisted when the investigators accounted for “legitimate factors,” the Department of Labor says. Another prime example of how companies and brands need to live up to the values portrayed in their marketing efforts in the era of omni information. AdWeek wonders if this will cast a lasting shadow over Fearless Girl. Digital ads don’t have a reputation for being great in the eyes of the consumer. Now, Fusion Media (Gizmodo, The Onion, Jezebel, etc.) is trying to turn that sentiment around by offering incentives to brands and agencies to develop ads that generate higher consumer engagement. Why? Better ads = happier readers, happier advertisers and a happier bottom line for Fusion. “We always have this desire, as most publishers do, to get the best possible advertisers on the site and the best possible creative,” said Mike McAvoy, executive vice president of sales for Fusion Media Group, who also serves as president and chief executive of Onion Inc. The new offering will be enabled by ad-tech firm Performance Pricing LLC. The technology, called Impressions Per Connection, gauges the quality of ads by monitoring the number of user clicks and mouse-overs. Bonuses to advertisers will be paid out on a sliding scale: The ads with the highest engagement rates get higher bonuses, which are capped at 20% of the total impressions purchased. Refinery29 tested a similar program with top advertising partners in early 2016. Monday was a busy news day and most of the news was not good. NPR editor, Christopher Dean Hopkins hopped online to post to his Facebook account. He posted about “Ramona” and in this post, we learned Ramona has limited interest in toys, is not into lengthy public displays of affection, and LOVES cats. It didn’t take long before Dean realized that he hadn’t updated his friends and family, but that he’d mistakenly posted to NPR’s Facebook page instead of his own. The internet wasn’t sure if Ramona was a cat or a person, but one thing was widely agreed upon: Ramona was the breath of fresh air we all needed. NPR removed the post after 12 minutes but gave Ramona a few more minutes in the spotlight with a post about the heartwarming mixup the next day. Read more about Ramona and social media’s reaction here.